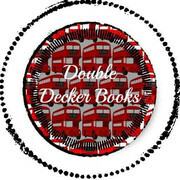 Double Decker Books promotes Authors & Poets with Tours, Blasts, Events, and more! Have questions please reach out & I'll be happy to answers any questions! School of Deaths Trailer & Sign Up to Review! If these images break any legalities we sincerely apologize and will gladly take them down upon notification. Please comment letting us know.